An independent nation should be able to protect not only its citizens, but also its territorial integrity. In addition, it should meet conformities that satisfy the standards of the country’s security, even if not adequately, to protect her customs posts. Yet, in Sierra Leone, customs posts are placed considerable distances from borders, providing no protection against modern-day pandemic diseases like EBOLA, terrorism, smuggling, and other vices that counter the needs of the state. The result of poorly placed posts is the preponderance of rebel incursions that cost human lives, and lead to the potential downfall of the state. For instance, in the Kissi Teng chiefdom in Sierra Leone, the border between Sierra Leone and Liberia is in Mendekorma, Liberia or Baeldu, Sierra Leone. In the past, one could see only the Liberian customs post in that location. The customs post located in Koindu, Sierra Leone, is almost three miles from the Mendekorma border. This distance enabled smugglers, rebels, and maybe terrorists to veer off footpaths and enter Sierra Leone unnoticed; the result was the human carnage that engulfed our nation when the war spilled across our porous border between Liberia and Sierra Leone. Furthermore, the Yenga issue should be taken into consideration. The Makona River forms the boundary between Sierra Leone and Guinea, of which Nongoa, a town in Guinea, is just on the bank of the Makona River; the Guineans have a customs post in that town. On the Sierra Leone side, Yenga is almost a mile from the Makona River, and a mechanized Guinean army set up camp on a hill just a stone’s throw from the Makona River on Sierra Leone soil. In the past, a small contingent of Sierra Leone police sat in Weimah, a town two miles from the Makona River. That also shows how porous our boundary has been with Guinea. The customs post has always remained in Koindu, two-and-a-half miles from the Yenga area and from the Makona River. 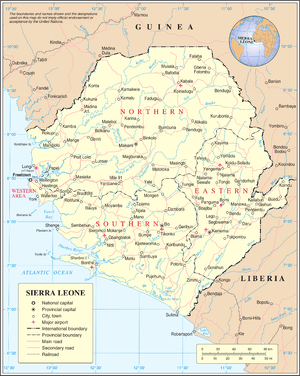 It means that, since independence, there has never been any customs post between Guinea and Sierra Leone in the Yenga area. 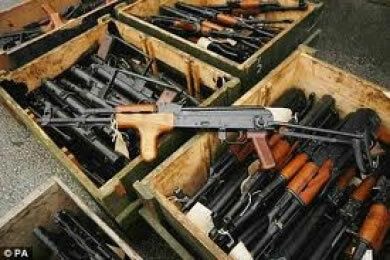 The security has always been questionable between Guinea and Liberia in the northeast sector of Sierra Leone. One should note that there is a customs post in Buedu in the Kissi Tongi Chiefdom that is almost six miles from the one in Koindu. Why that was built at such a considerable distance remains a mystery, since vehicles that smuggle goods can just slide through Dia in the Kissi Kama Chiefdom to Kailahun, the district headquarters, and then to the capital city of Freetown, instead of being checked in the customs post in Bueda. That is a clear indication of the security breach in that area. Those vehicles are never examined until they empty their goods in the capital city of Freetown. On the other hand, Sierra Leone in this work should be considered a “free country,” considering immigrants just enter the country, make themselves comfortable, and disrespect the immigration laws. They apply for passports and parade smuggled goods across the country as long as they pay some money at the police checkpoints where their bundles are not properly checked for arms or goods that may cause material damage and/or human havoc. Terrorism is on the rise, and terrorists have maintained a steady supply of money which is crucial to lubricate the wheels of terrorism. There are rumours that unscrupulous business men and women in most African countries are today manufacturing the currencies of most African countries in the northeast Asian countries. Such counterfeit currencies, neatly packed in containers, have been retrieved successfully in the harbours of these countries and have been invested in illegitimate businesses across the continent, just because of security lapses. The newly built customs post at Forecariah between Sierra Leone and Guinea stands majestically. Although it has not been completed, it is hoped that it will meet the paramount responsibility of the governments of Guinea and Sierra Leone: to assure the security of all persons, citizens or not, who legally reside within their sovereign territories. The roads leading to both capital cities of Freetown, Sierra Leone, and Conakry, Guinea, have been paved and meet the standards of today’s engineering feat. In this respect, Sierra Leone is an unsafe country, where money laundering can be seen on all of its streets. How on Earth can any nation survive economically when one can observe economic hooligans standing on street corners trading in the black market, as they exchange money which should be done in banks so that the country can benefit from foreign exchange? Sierra Leone, like most African countries, has not improved its counterterrorism capabilities; increased cooperation among governments in Africa is still lacking today. This means that Sierra Leone should be termed a “welfare state” because with all the riches in the country, corruption has contaminated the mindset of her politicians. That is the most worrisome part; only God has protected the country from modern terrorism. This rich nation sits and awaits international donors to feed her people while politicians fight to usurp every ounce of unscrupulous behavior, even if the country stays unprotected and is cannibalized by malfeasance and by the abuse of public office. This has created an anaemic situation where poverty and crime have been concentrated not only in cities but in towns and villages across the country, thus depriving the poor of legitimate educational, occupational, and economic opportunities. The politicians, on the other hand, want the poor to vote for them while they are more concerned with acquiring wealth, filling their pot bellies, and getting money at any cost, even if it means emptying the country’s banks. Such graphic details about how fragile and unprotected the borders of Sierra Leone are only ignite the reasons people break the law. 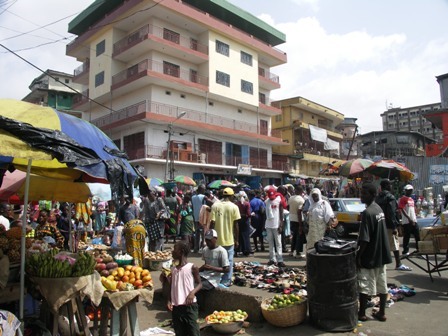 Legitimate efforts to succeed are not as highly valued in the Sierra Leonean culture. Corruption, malfeasance, and political hatred among tribes have grown to colossal size and power. One can then conclude that the growth of economic prospects of any nation should be the driver to build dynasties that could extend its power, and to invent viable policies and the adequate ability to protect her borders. I would like to thank you so much for allowing my works to be portrayed in your renowned newspaper in Sierra Leone. I hope that our viable contributions can bring transformational change in our country.